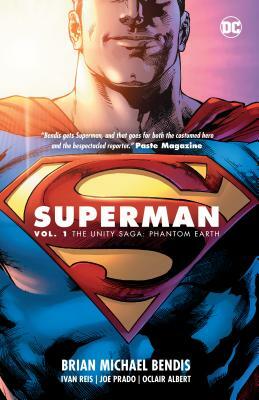 It's hard enough for Superman to fight the endless fight when the two people he loves the most in the world--his wife, Lois, and their son, Jonathan--are traveling the universe, unable to communicate with him. But it's Superman's job to keep the Earth safe, no matter what. It's a huge job under the best of circumstances, but when the entire planet is mysteriously transplanted into the Phantom Zone, the prison dimension built to hold Krypton's most dangerous criminals, it may be more than Superman and even the Justice League can handle. Not only is the Phantom Zone itself threatening to tear the Earth apart, but it's also home to the worst killers in history--all of whom have a personal vendetta against Superman. The newest prisoner, Rogol Zaar, the man who killed Krypton, is ready to unite these scattered foes into an army...an army ready to strike at Earth at its most vulnerable! Collects Superman #1-6. Make this your jumping-on point for the next great Superman epic!